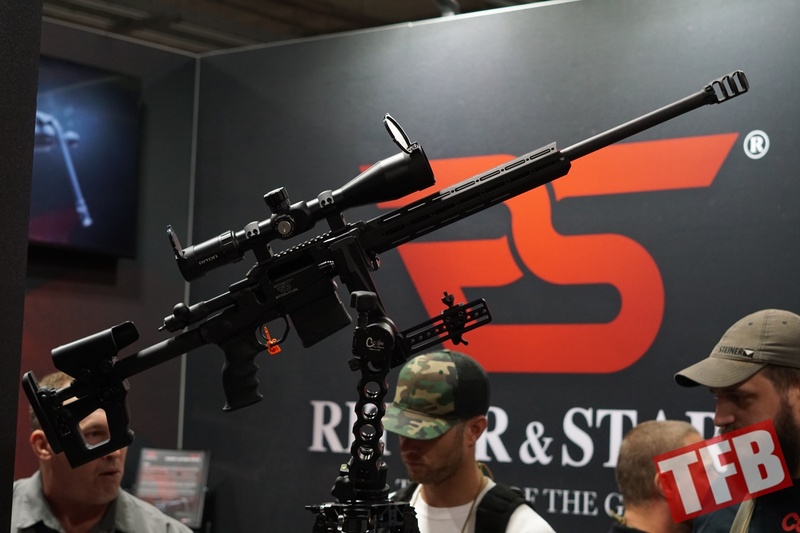 TFB TV actually took a trip to the Austrian located factory of Ritter & Stark last year. 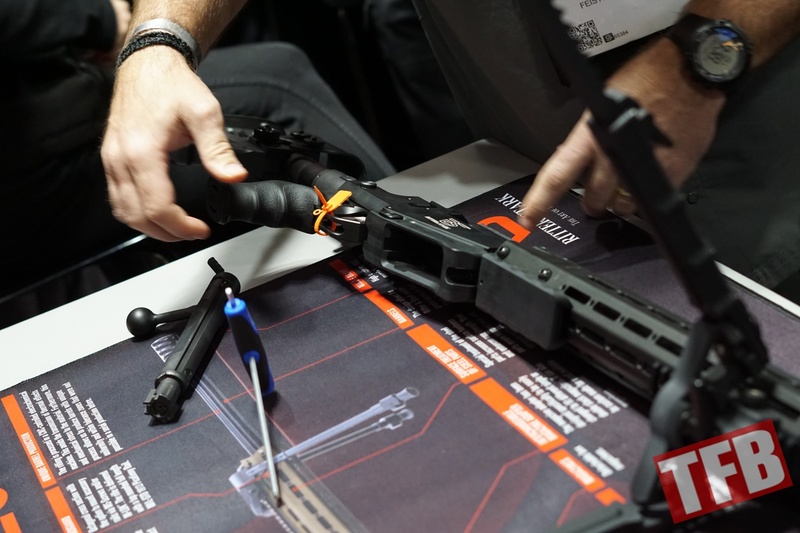 We were able to look at the internal factory work being done on the rifles before they get shipped over to the United States. 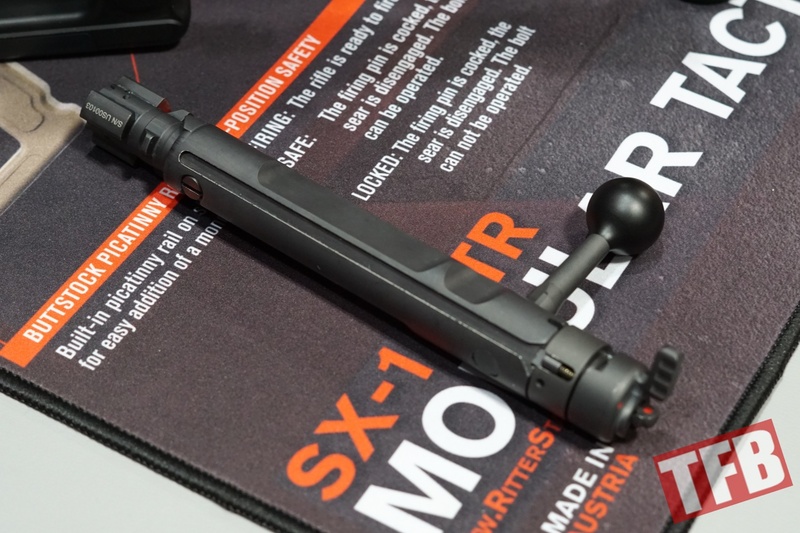 At SHOT 2018 we were also able to take a look at both the long action SX-1 MTR and the newer short action SLX rifle. 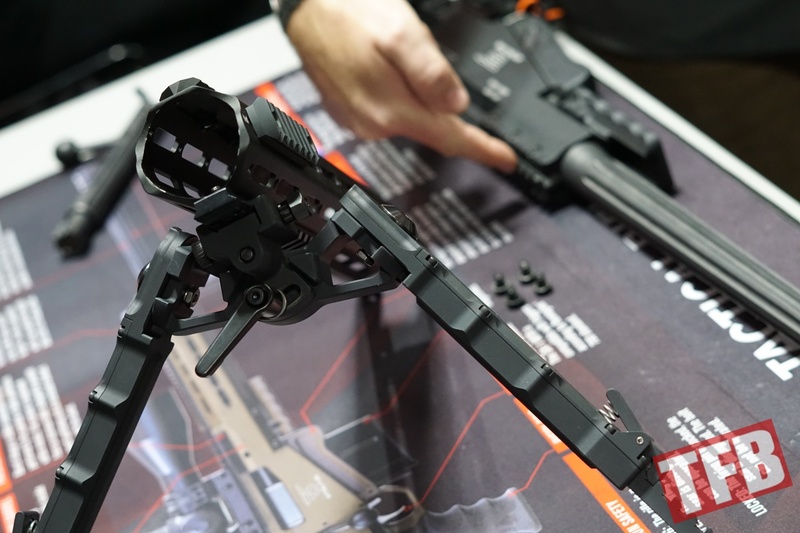 However, also at the Ritter & Stark booth was the Carbon Fiber Tripod System from Crux Ordnance based in Ilinois. 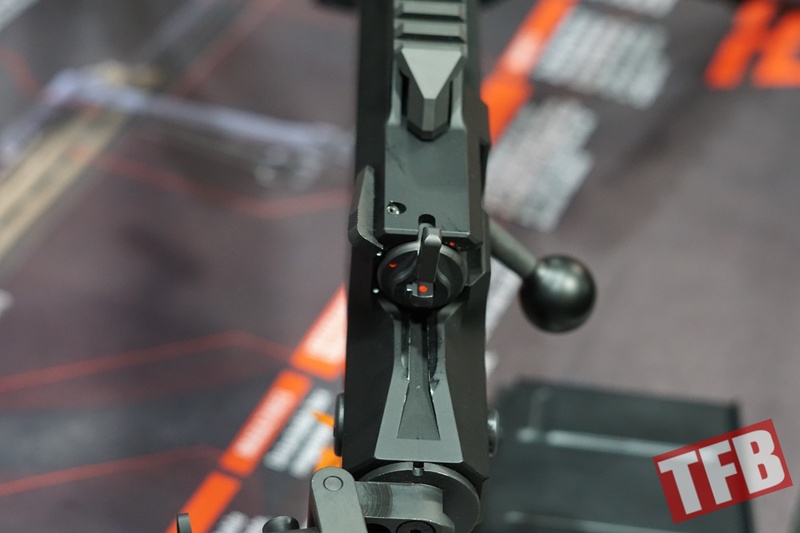 The company designs these extremely rigid shooting mounts that once unlocked can be quite fluid in moving the rifle into a new position to shoot from. 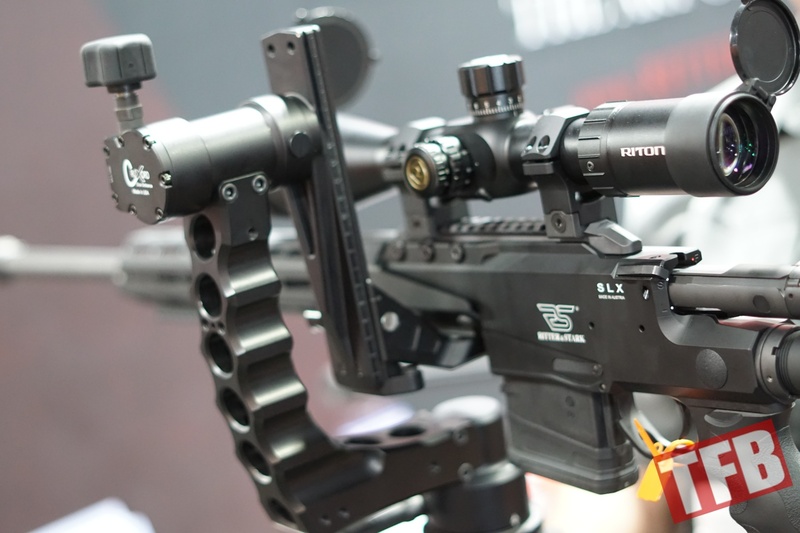 The “CruxOrd” as it is shortened to, is mounted to a rifle via the handguard, using a Picatinny mount on the bottom of the rifle. 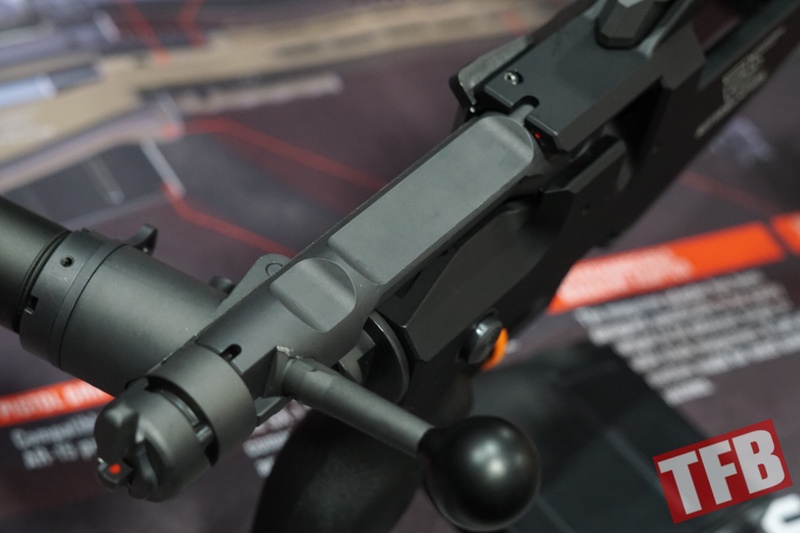 What makes the design operate is the adjustable handle that allows the rifle to have a free range of movement while mounted to the CruxOrd. This is then locked in place when the desired position is found. 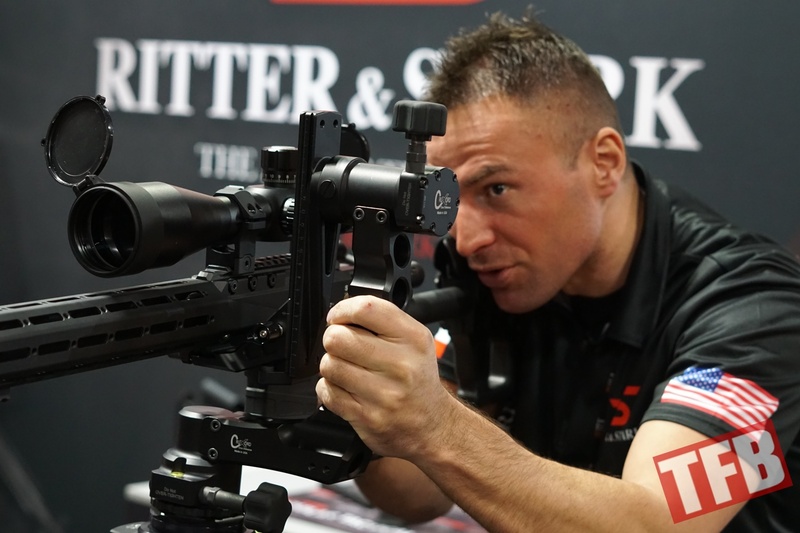 Although I don’t know how useful this would be for a Military application due to the tremendous size, I think it would be perfect for an LE application where police marksmen have the time and luxury of setting up in an urban hide position that requires the rifle to be shot from outside of the prone or resting on an elevated spot. 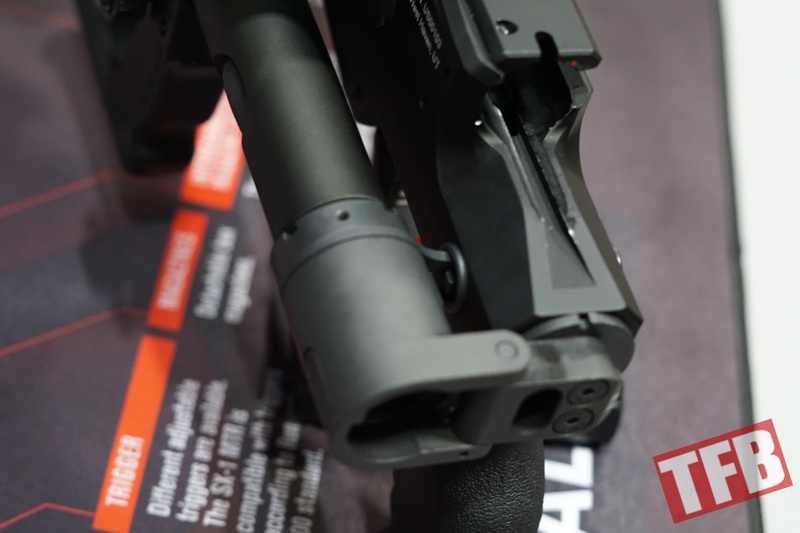 The long action SX-1 MTR can be ordered with interchangeable barrels in .308 Win, .300 Win Mag, and .338 Lapua. 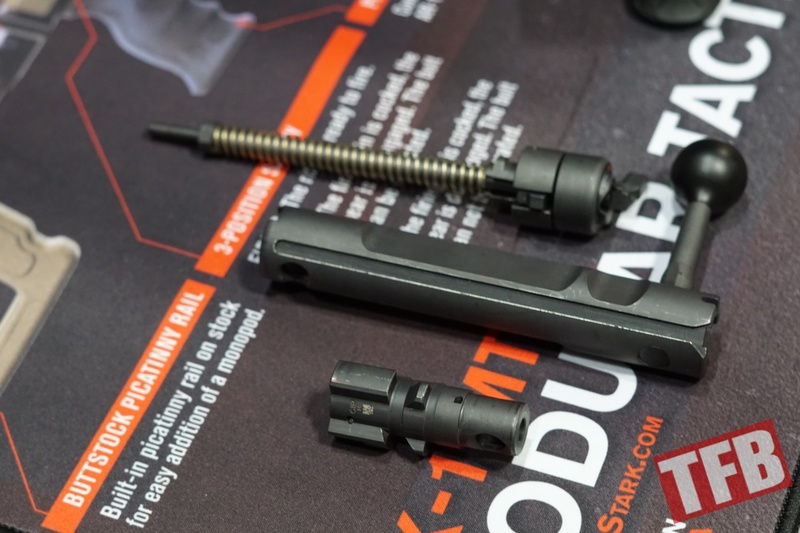 With the short action SLX, these caliber options decrease to .308 Win and 6.5 Creedmoor due to the size. 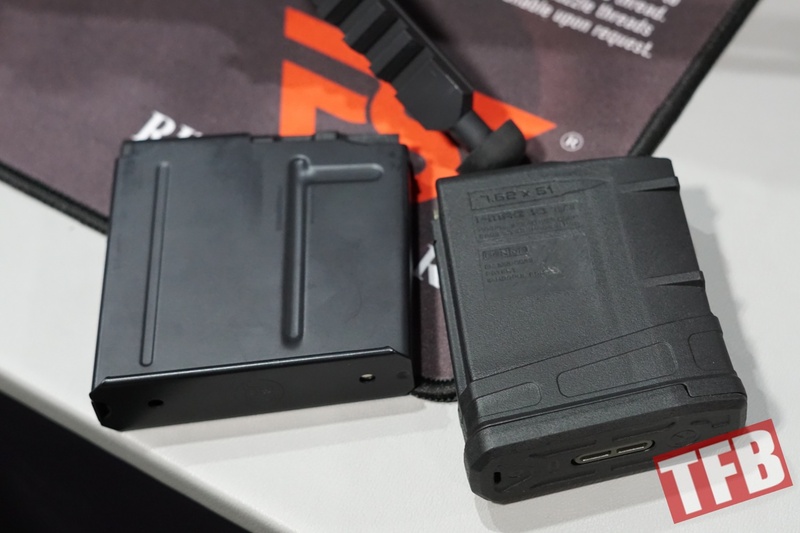 Barrels can be swapped out by simply changing the hex screws that hold the barrels in place with the receiver. 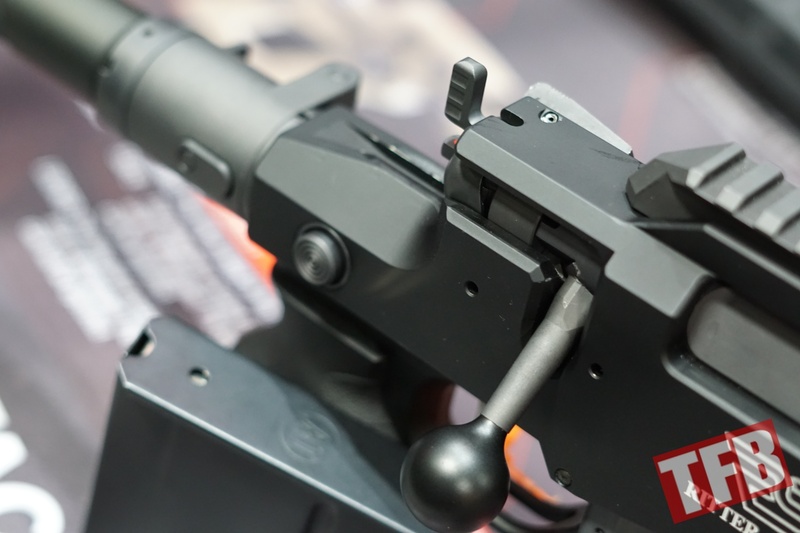 A point to be made here is that the Picatinny optics mount isn’t apart of the handguard or even the barrel. 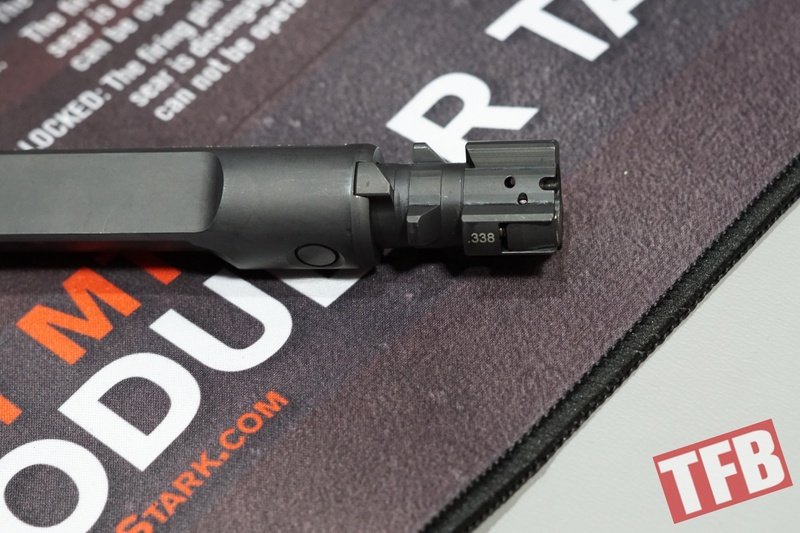 This helps with maintaining ballistics data between swapping out barrels, so the point of impact isn’t shifting every time the barrel is changed out. Magazines are from Accuracy International. 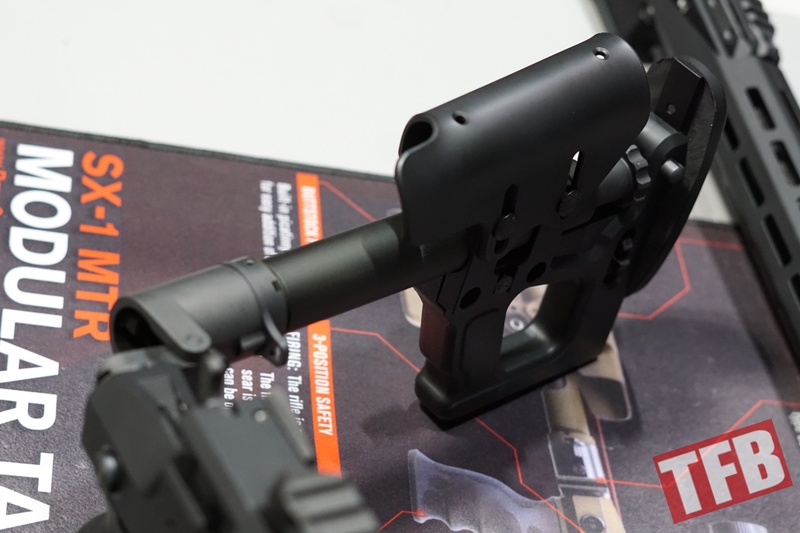 The stock folds to the left and appears to be using a Hera Arms AR15 buffer tube folder. 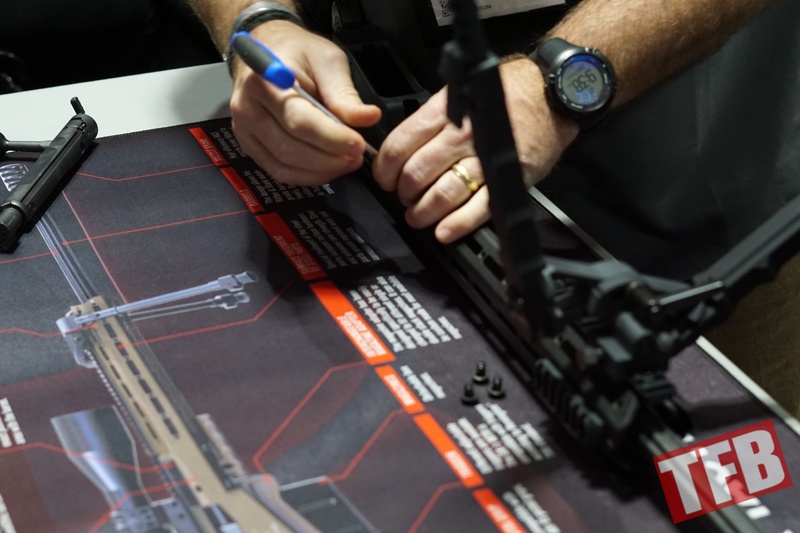 The bolt group is extremely simple and can be disassembled by hand in the field. 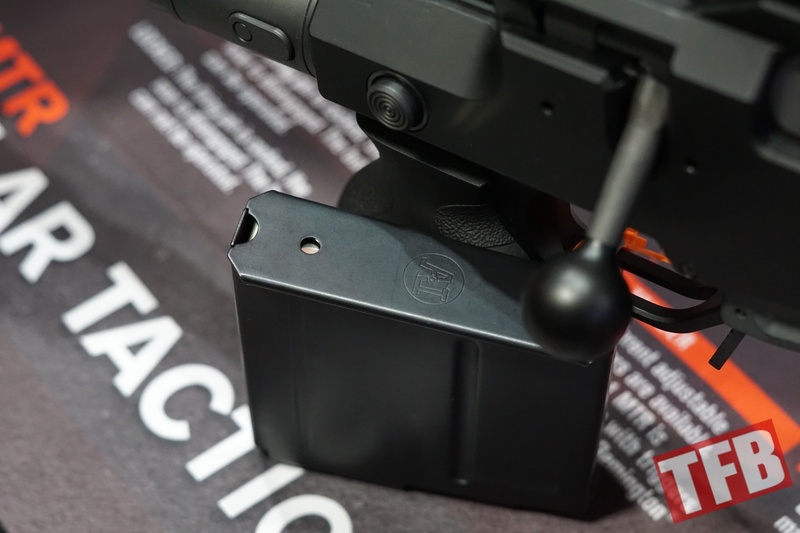 The short action SLX can also take Magpul Pmags for the .308 Win cartridge.